Are HVAC Maintenance Contracts Worth the Investment? The popular adage “if it ain’t broke, don’t fix it” inspires many people to regard maintenance contracts a waste of money. What lends credence to such school of thought is many marketers and salespersons pushing unnecessary maintenance contracts to gullible customers, for many products. However, things are different in the HVAC industry, where maintenance contracts are just as essential as the actual purchase. An HVAC service agreement is essentially an agreement between the facility owner and the HVAC vendor or service provider. 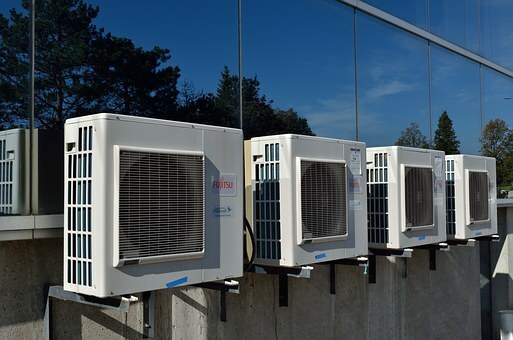 The HVAC service provider, for instance, undertakes to inspect furnaces before the onset of the winter, and the air conditioner before the onset of the summer, in exchange for agreed upon rates. Many HVAC companies offer such an extended service contract when installing a new HVAC system or repairing an older one. Regular and periodic maintenance is vital to the efficiency, reliability and longevity of HVAC systems such as furnaces and air conditioners. Regular service ensures all parts are in prime working condition and pre-empts breakdowns. During the course of a regular maintenance or service, the technician inspects the system to lubricate the moving parts, refills the gas, identify and replace worn out parts, and ensures everything is working as it should. For instance, when servicing a furnace, the technician checks the burners to ensure proper ignition, inspects the drainage system for blockage, cleans the blower wheel out of accumulated debris, and more. Such “routine” tune-up unearths glitches which may be small in itself, but if left unattended can quickly escalate and trigger a costly repair or even a catastrophic system breakdown. Imagine the catastrophe if a furnace breaks down in the peak of the winter, leaving the home or office cold, or if the air conditioner refuses to function on a hot summer night. The US Department of Energy endorses such regular servicing. The Department of Energy recommends annual pre-season check-up of HVAC equipment, to ensure the cooling and heating system work at peak performance, and also to prevent future problems. Routine maintenance of HVAC equipment is important not just for the health of the equipment, but also for the overall safety of the premises where it operates. Consider the case of an air-conditioner. Over time, electrical connections can loosen to cause faulty electric connections, to reduce the life of major components and even cause unsafe operations. Likewise, the condensate line may get clogged and cause water damage in the facility. For furnaces, failure to check the vent system and fresh air intake grills for blockage and/or leakage can turn fatal. Likewise, analyzing the combustion gasses, and comparing it to unit specifications is an essential safety requirement. Making sure the heat exchanger is not rusted or corroded is also essential to ensure equipment longevity. An HVAC system is complex, with several interconnected moving parts which have to work seamlessly in tandem, and seamlessly for the desired benefits. Regular inspections, cleaning and adjustments are essential for smooth operations. The closest analogy to an HVAC system is a car. Just as regular oil changes, fluid checks and brake inspections of a car will deliver more mileage, regular service of HVAC system delivers more efficiency. Regular maintenance of HVAC equipment ensures smooth functioning and improves energy efficiency manifold. During the course of the maintenance, the technician changes dirty filters, cleanses the system of accumulated dust and grime, and greases the moving parts to reduce friction. The resultant efficiency improvements offer considerable energy savings which pay back the investment in the maintenance contract many times over. Consumer Reports estimates a central air conditioner to have a lifespan of anywhere between 10 to 15 years. Failure to maintain the air conditioner at a timely and regular interval reduces the lifespan. Even ENERGY STAR’s maintenance checklist corroborates this fact, by making explicit the air conditioner’s coils get dirty over time. Dirty coils cause the air conditioner to run longer and not just increase energy costs but also reduces the equipment life. Having a service contract is akin to taking an insurance contract. It ensures priority treatment, to save time and even money when things go wrong. Some manufacturers require routine maintenance as a term of the warranty, making it indispensable in any case. Such essentiality and advantages notwithstanding, unscrupulous practices such as shoddy workmanship and inflated prices indulged by some players no doubt create a stigma and a bad reputation around HVAC service contracts. The exact nature of HVAC maintenance depends on the maintenance contract. A basic maintenance contract is only for labor and involves a checkup and tune-up of the machinery. Advanced contracts co-opt parts and service for problems found during the checkups, and most contracts also include emergency service. Depending on the nature of the contract, a service agreement may offer discounts on parts, repairs, and accessories, replacement filters and accessories. However, regardless of the inclusion, the service contract is only as good as the service provider backing it. Make sure to choose a company that is honest, trustworthy and reliable. Detailed, with the contract itemizing exactly what is done during the check-up or the inspections. Of course, it might always be possible to call an HVAC contractor on a one-off basis even without a regular contract, but the issues are higher rates, availability especially at odd hours and effectiveness. Ione-off technicians may not necessarily be familiar with the equipment and may not be able to offer an immediate or effective fix.